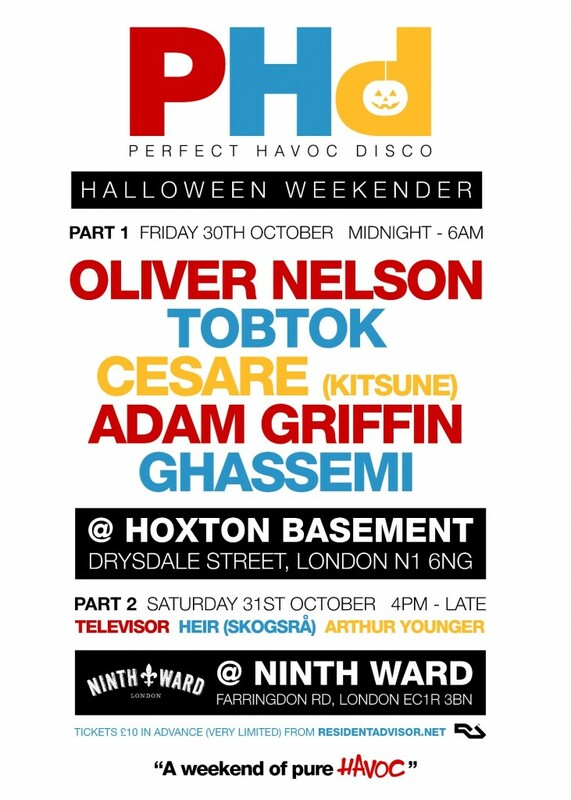 After a successful debut at Shapes Warehouse Hackney Wick and the recent international event at M.Bar, Finland, Perfect Havoc Disco returns to London for a weekend long Halloween party, starting at Hoxton Basement on Friday 30 October and continuing on Saturday 31 October at Ninth Ward in Farringdon, bringing with it a cutting-edge house and nu-disco lineup. Featuring Scandinavia’s hottest property, producers, Oliver Nelson and Tobtok, Kitsuné signing Cesare, Perfect Havoc Disco boss Adam Griffin, and newcomer Ghassemi, the Halloween Weekender will showcase exactly what the hype surrounding this wave of young talent is all about. 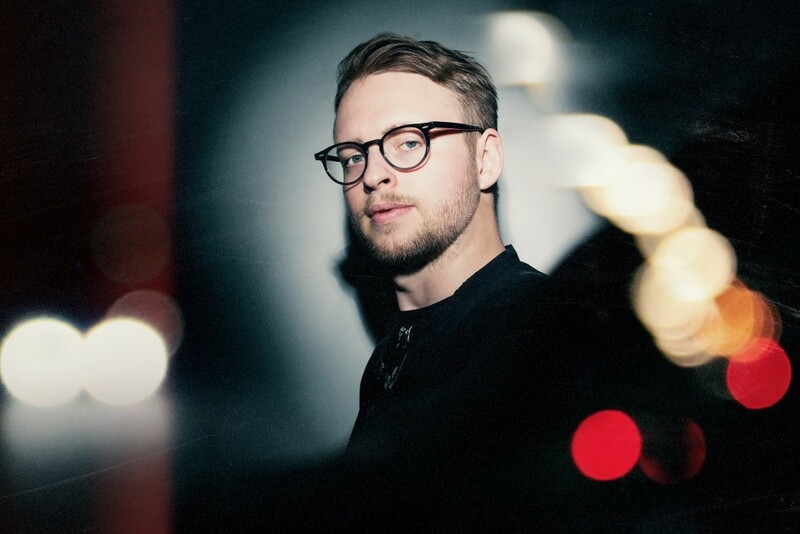 Headlining the event is Oliver Nelson, whose rapid rise to success is due to his expert remixes for Janet Jackson, Luke The Knife, The Wombats, Route 94, and Tove Lo, and his Hype Machine #1 debut track, Found Your Love, snapped up by Polydor for release in late 2015. On the decks, Oliver has recently completed a tour of the US, with headline sets at Full Moon Party at Brooklyn Mirage alongside Tensnake; a headline slot at San Fran’s Summertime Radness Pool Party, and a guest appearance at Sound Nightclub in Hollywood. Huge things are in store for Oliver and fellow Swede, Tobtok, as they’ll next produce for Rita Ora. 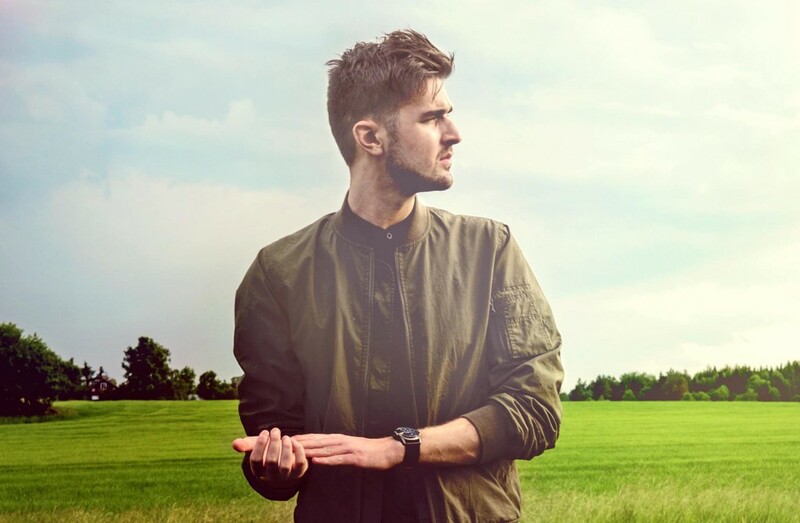 Tobtok is also a serious talent – his stylish take on house / nu-disco has amassed over 20 million cumulative plays on Soundcloud and over 18 million on YouTube. Tobtok’s remix credits include The Magician, Blonde, John Newman, Citizens! and Montmartre; signings to Kitsuné; forthcoming remixes for the likes of Roger Sanchez, Black Butter and Luke The Knife; and new single Shelter landing on Good Soldier Records later this year. As a DJ, Alesso, Avicii, Martin Garrix, Dirty South, and Oliver Heldens have all requested that he plays on their tours, and he’s just completed a successful run of festival dates at Emmabode, Summerfade, Sziest, and Creamfields UK will follow later this summer. 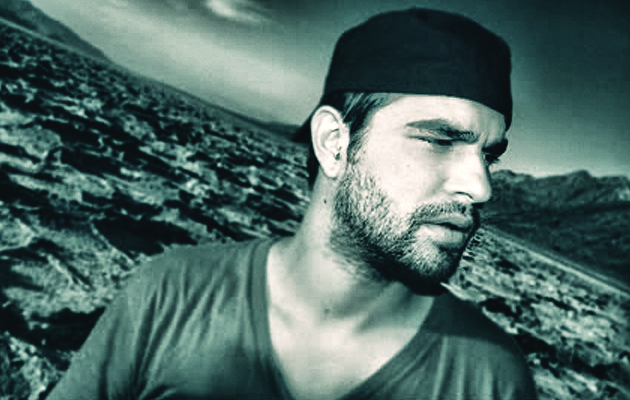 Perfect Havoc Discowelcomes a special guest from the house of Kitsuné – the mysterious Brazilian DJ / producer Cesare. Notable productions on the highly respected Kitsuné record label include his debut EP Ipanema Beach House Remixes (including a fantastic rework of Tobok’s Savanna) and the label-famous Soleil Summer Mix, plus forthcoming new single Want You feat. River dropping in November. Further adding to the bill is Perfect Havoc Disco boss and ex-Sony Music marketer, Adam Griffin. Check out Adam’s B2B mix with Tobtok from the last PHD party, now clocking an impressive 70,000 plays for a flavour of what’s in store. The Swedish talent just keeps on coming at Perfect Havoc Disco as one-to-watch Ghassemi will take to the floor. With just 3 years production under his belt, including remixes for Golden Coast, Televisor, Just Kiddin and a classy rework of Icona Pop’s Emergency, he is a young producer, without doubt, to keep-an-eye-on. If six hours of quality house music is not enough, Perfect Havoc Disco continues the following day on Saturday 31 October from 4pm at the newly opened Ninth Ward in Farringdon. This intimate space features stunning New Orleans décor and inspired food menu, and offers the chance to get up close and personal with further breaking Swedish talent, Heir (aka Skogsra), Dutch / English duo Televisor, Arthur Younger, plus special Perfect Havoc guests to be revealed. There is a genuine buzz around these artists as they lead a new breed of Scandinavian talent. Come down to Perfect Havoc Disco at Hoxton Basement and see for yourself. And don’t forget your spookiest Halloween costume – there will be prizes for the best outfits on the night…! Tickets: £10 OTD. Limited capacity – first come first served.